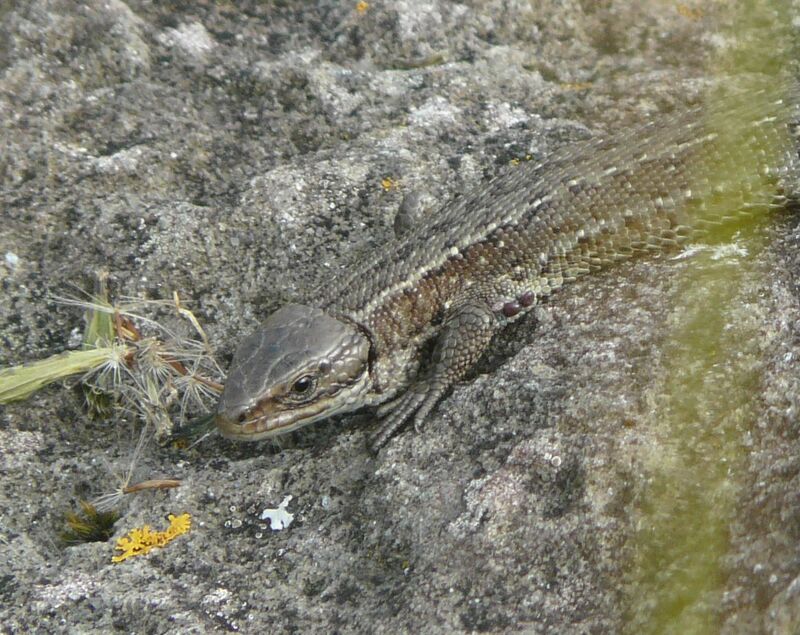 Common Lizard - Can Lizards get ticks? Topic: Can Lizards get ticks? Subject: Can Lizards get ticks? Wow, cheers for the info everyone. Great to learn stuff from peoples personal experiences, beats any book! Ticks are not as numerous, with fewer than ten different species, but can cause much more damage that the mites as they can lead to some serious illnesses, serious, and that means not only for the lizard, but also for the owner, so great care must be taken when removing ticks. Tick ​​removal is not for anyone who is a little delicate, and certainly not something that can stay with the job half done, so if you have any questions that you want to do the job is something best left to the vet. The only good thing both tick and mite infestation is that it is relatively easy to detect and treat. If you are not sure will be happy to tick start your lizard to the vet is best. This is a good course of action anyway, the vet can prescribe ivermectin to treat if the infestation is really bad, which is not available over the counter. As long as your lizard is comfortable with being handled, you can remove the tick yourself. There are "tick removers" that you can get at pet stores, but a pair of tweezers, with a rather long nose done. The important thing is not trying to remove a tick with your fingers and gloves at all times. Ticks can carry some pretty horrible diseases - Lyme disease is perhaps the more people know - and when he retired, it is inevitable that there will be some bleeding around the site and the jaws of the tick, and is that if the tick is accidentally crushed, which is usually the case. It may be necessary to wrap the lizard and in a perfect world this is a work of two men, so finding a friend who does not apprehensive or family member to keep the animal for you. Grasp the tick firmly by the head (not the body - you just go out and leave the mouth parts still attached, which can cause infection) and slowly pull the lizard. The tick should slide out. Never touch, this is another way in which the head is left embedded. Never try to burn the tick with a lighted cigarette end - clings tighter, not letting go. Other mechanical means will not work - pulling it with serenity and firmness is the only way and nothing but cause more problems. So that's why it's vital not to be apprehensive and make sure before you start, you can finish the job. We see them a lot on Common Lizards and Sand Lizards down here, especially when there are deer around. Hope no one minds me reviving an 'oldie' (and i don't mean giving emergency CPR to a stricken senior citizen ), but can i take from the above that of the many species, the tick our lacertids get is Ixodes scapularis, the Deer Tick? Not that i'd know but scales being a different kettle of fish to fur, one might have expected a 'speciaist'. Certainly the deer or sheep tick. (can't be bothered to check binomial) although the english names are interchangeable. I think a reptile specialist tick in the UK would probably be doomed to extinction. The deer/sheep tick is a real generalist though and as long as it can get its mouthparts into something that contains blood (us for example) it's happy!